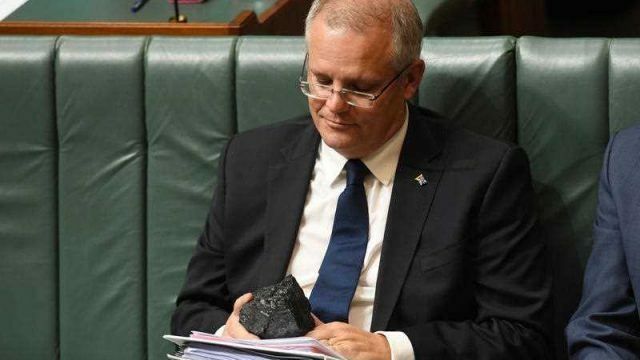 Malcolm was finally undone by the NEG, his bold initiative to save the country from the same fate as South Australia where they suffered series of severe blackouts after the assault by Jay Weatherill and battery by Elon Musk. Peter Dutton, who was NEGged on by Tony, saw an opportunity to spill Malcolm but found that not everything in the party was as right as he’d like and not everyone agreed with Tony’s view that the Rural Fire Service was more effective than NEG at tackling the effects of climate change. The Labor Party didn’t fancy NEG because it was Malcolm’s idea and what’s more it was contrary to their policy of tackling global warming by smothering it with wet blankets like Mark Butler and Luke Foley. The Greens hated NEG because it wouldn’t save the world or the Paris Accord and wouldn’t prevent the Coalition’s climate change policies from going down the mine. Barnaby Joyce, the country’s greatest retail politician, dished the dirt on NEG. Perhaps we would all derive greater benefit from his endeavours if he got a job at Myer or Woolworths. Tony believed strongly that NEG should either become NED – the National Energy Discount – or stand for Nuclear Energy Generation. He advised Malcolm to adopt the Bunnings policy of “Lowest Prices Are Just The Beginning” and then add “Lowering Carbon Emissions Is Absolutely The End”. Labor didn’t fancy NEG because it was contrary to their policy of tackling global warming by smothering it with wet blankets like Mark Butler and Luke Foley. Many believe that even if Malcolm had been successful in getting his energy policy passed in the House the Senate would have reNEGed on it. There is a growing feeling amongst leading commentators that NEG only happened because Malcolm wouldn’t listen to anybody except Lucy who believed that nobody besides her was worth listening to. Julie Bishop has the satisfaction of knowing she’s supported two prime ministers with much greater integrity than many of her namesakes have supported the Pope. Let’s face it, anyone who was a loyal deputy to Malcolm, then Tony and then Malcolm again, must be more of a saint than a Bishop. In the end Emperor Malcolm had no clothes and was left in his NEGligée. ScoMo enters The Lodge with the distinct advantage over Kevin, Julia, Malcolm and Tony that he hasn’t got a drop of blood on his hands. The truth is however Australia was never going to get out of this mess Scott-free. In the final analysis the NEG was probably never going to provide a stairway to carbon neutral heaven. The only way to secure an unlimited supply of cheap renewable and reliable power is to descend into the sort of hell that the Greens envisage for us.